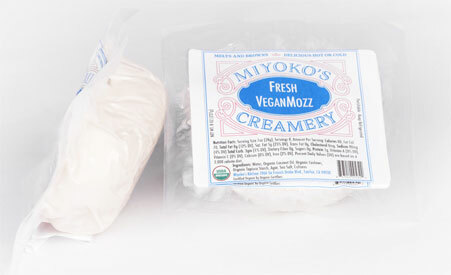 Amazingly similar to traditional mozzarella di bufalo, this delicious cashew-based vegan version from Miyoko's Creamery is the perfect answer for everything from pizzas (yes, it melts and browns beautifully!) to caprese salads, paninis and more. Creamy, smooth and with just the perfect texture that's so close to real fresh dairy mozzarella, Miyoko's Creamery has made sure you'll never miss out on your favorite cheeses again! 8 oz. (227g) package is $10.49. 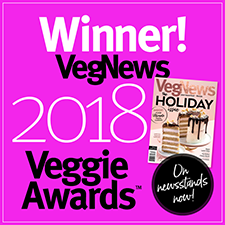 Best Vegan Cheese, Hands Down! From Jai G. of Allen, Texas on 9/9/2017 . 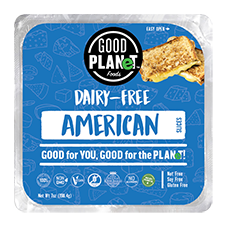 If you're tired of tolerating various Vegan "cheeses", and ate afraid to try anything new, because they all taste SO terrible and nothing like cheese. You're in for a big surprise, miyoko uses nut milks to make her cheeses and it makes ALL the difference! After all cheese IS made from various milks, not beans, additives and vegetables, blech! This IS, hands down, THE best Vegan Cheese you will ever eat! We make pizzas with it, and it melts and browns, just like real cheese should! The only drawback is the cost. However, you can find it on sale sometimes and get it for half the price, like we just did at Whole Foods Market!! From Anonymous of New York, New York on 8/24/2017 . There is almost no taste or smell, but the texture is bad and turns me off right away. I would not suggest using this as a substitute for mozzarella. If I were to put a piece of this in front of you without the label, I would be that most people would never ever think it was supposed to be like mozzarella. From Christina Branum of Lincoln, Nebraska on 7/24/2017 . My biggest complaint with Miyoko's line of cheeses is the price. I felt like eating this raw tasted much better and similar to mozzarella than when it melted - which it melts really well and browns. The cheese kind of settles the way most vegan cheese does and becomes almost phlegmy. I didn't care for the texture melted but I did like this raw. From Anonymous of Austin, Texas on 7/2/2017 . Hands down, best vegan cheese available on the market!! It melts perfectly and has no funky tastes to it. Pure delight!! From Anonymous of san diego, California on 4/11/2017 . It melts beautifully and tastes amazing, one of the best cheeses I've ever had for homemade pizza. I made pizza pockets for my family, including my parents, and everyone was in love.